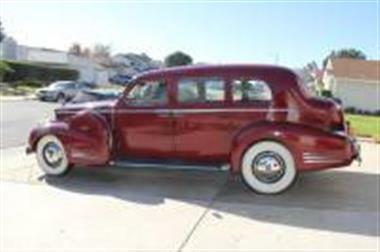 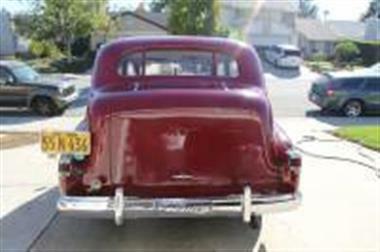 1938 Cadillac Other in Camarillo, CA for sale. 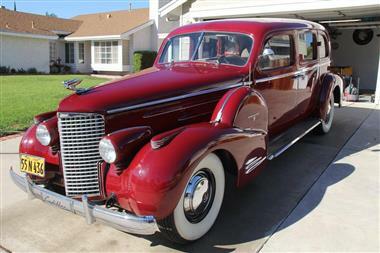 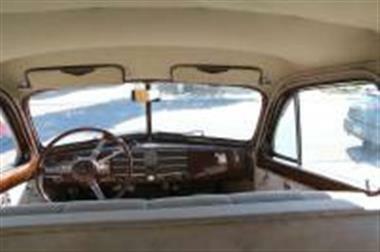 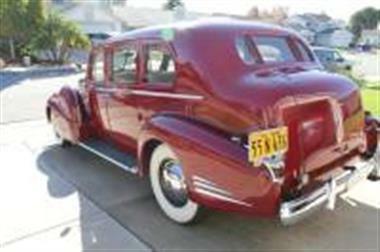 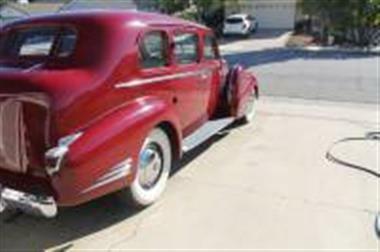 1938 Cadillac V16 for sale</p><p>A chance to own an affordable full classic! 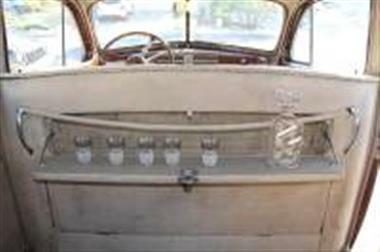 Number 40 of 43 five passenger formal sedans built in 1938 and one of 15 known to still exist.The only V16 sold by Greenlease Cadillac in Kansas City MO, in 1938.</p><p>This car traveled to California where it has resided since at least 1950.This car is rust free!</p><p>The original motor is missing and was replaced with a Chevy 350/th350.The car also had a 12volt conversion.Components such as the gauges and horn are reduced to six Volts and still work.Rear air conditioning was added to the car.It blows strong enough to feel it in the front seat.</p><p>This combination of uniqueness and modern drivetrain makes this a perfect car for weddings or special occasions.You can make money with this car!</p><p>Parts recently rebuilt or replaced:</p><p>Distributer</p><p>Carburetor andndash; Quadrajet rebuilt with lifetime warranty by National Carburetor</p><p>Transmission - also beefed up</p><p>Wiper motor - works but transmission mechanism needs some tlc</p><p>Heater core - water flows through but fan mechanism needs work.</p><p>Brakes andndash; Stainless sleeves installed in wheel cylinders. 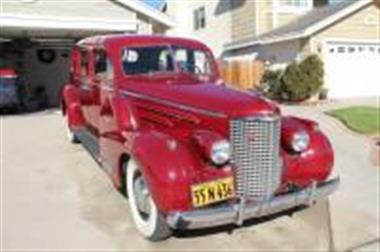 All new lines.</p><p>Steering Box Rebuilt</p><p>Exhaust reworked</p><p></p><p>Modifications:</p><p>Chevy 350 engine/Th350 Transmission</p><p>Electrical andndash; 12volt conversion.</p><p>Air conditioning andndash; Rear trunk mounted unit controlled from the dash.</p><p>Seat Belts for 5 people</p><p>Electric fan.